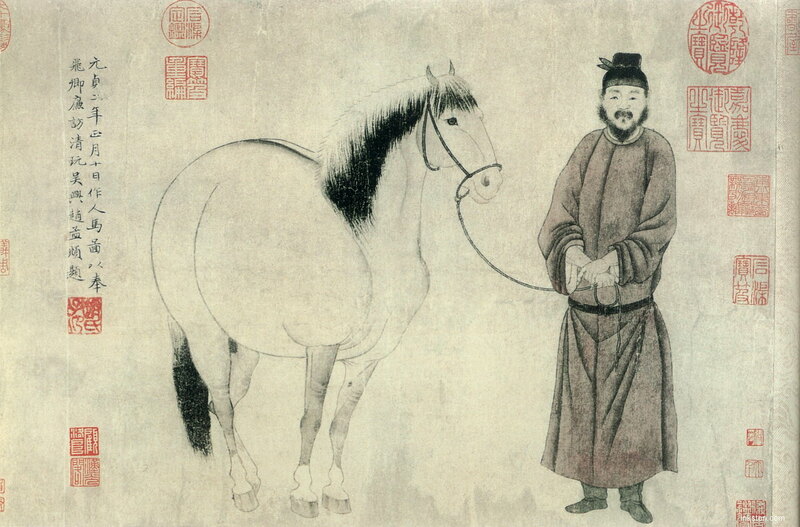 Zhao Mengfu, 赵孟頫 1254 – 1322， was one of the most famous and important calligrapher and painter in Chinese art history. He lived in the Yuan Dynasty (1271–1368) and was a descendant of the Song Dynasty’s (960–1279) imperial family. INKSTON organized a collection of some of his best paintings. Beautiful, did some of his script with the book I’ve bought here!